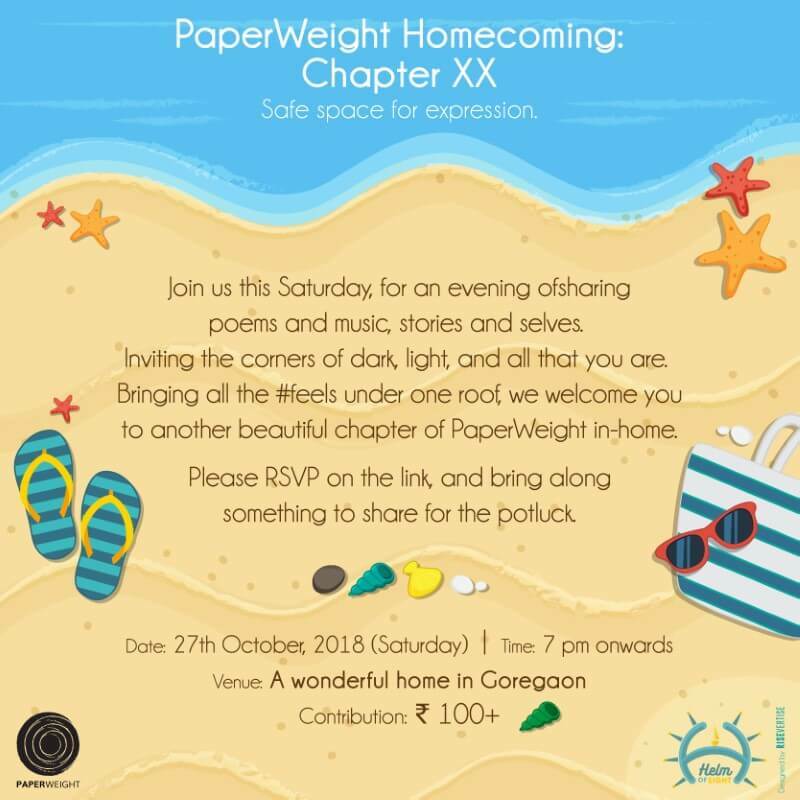 Paperweight is a collective dedicated to creating a safe space for expression. With every chapter we host, we aim to bring people closer by sharing stories, food, space and art. We are an open, inclusive community that supports all languages, artforms and styles of performance & sharing. We are constantly experimenting with different formats, and pushing the envelope on what it means to build a safe, brave community space for individual expression.